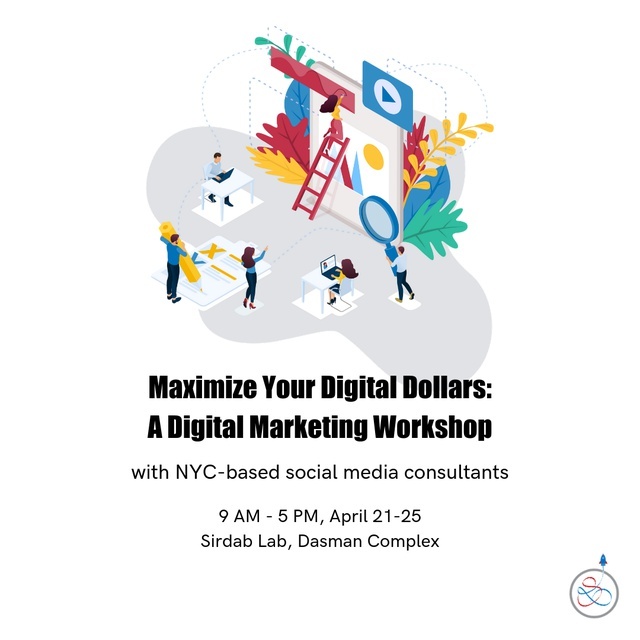 Sirdab Lab is proud to offer an intensive, hands-on digital marketing workshop conducted by leading digital marketers from New York. 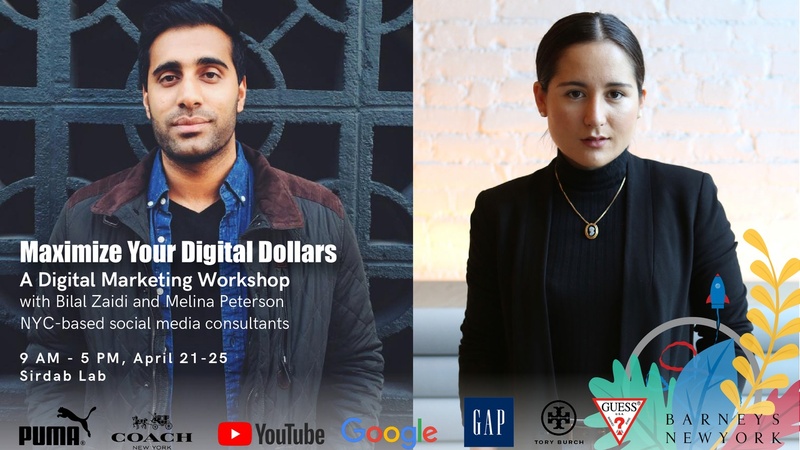 The instructors, Melina Peterson and Bilal Zaidi, have worked with companies like Google and General Assembly with proven success, building the digital strategies for startups and Fortune 500 brands such as Gap, Estee Lauder, GUESS? Jeans, Topshop and more. Payment plans and alternate payment options available. 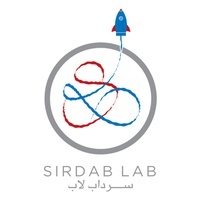 Email us at [email protected] or call us at 97768939 for more details. Melina Peterson: Melina is the founder of Cornerlight Digital, an NYC-based social media advertising consultancy, a lead instructor of digital marketing at General Assembly, and mentor for entrepreneurs at startup accelerators in NYC and LA. Melina previously worked on the brand side managing digital advertising at global denim brand GUESS? Jeans and oversaw the paid social strategies for brands like Gap, Estee Lauder, Barneys New York and more on the agency side. She is also the founder of the lifestyle site, 5thfloorwalkup.com, which has been featured in publications like Refinery29 and Apartment Therapy. Bilal Zaidi: Bilal is a former business lead at Google who has worked with leading startup + Fortune 500 brands in NYC, LA and London. He’s helped companies grow from $1million to over $100million in revenue through digital marketing. Bilal also worked at the award-winning social enterprise, charity: water leading strategic partnerships with brands like WeWork, Saint Laurent & Hublot. He is the founder of Creator Lab, a business podcast where he interviews leading entrepreneurs like Gary Vee, Daymond John & Avinash Kaushik. His show has been featured in Fast Company magazine and has listeners in 100+ countries.